The Johannsen Group prides itself on taking an active role in the community it serves. Check out the items below for more details on how we help give back to the Cowichan Valley. 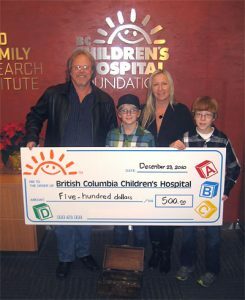 For Kim Johannsen of Duncan, BC, his relationship with BC Children’s Hospital isn’t just business. It’s personal as well.